The Internet is not an anonymous space. When creating a connection you are given a unique IP address from your provider that clearly identifies you for the duration of the session (and for a long while after). With its 256-bit AES encryption, SimonTools CyberGhostVPN2 lets you enter the Internet under the protection of a virtual private network. Your data transmissions and address are concealed, shielding you from spy- and malware. This VPN service gives you the freedom to express your opinions and feel comfortable when surfing, sharing files, using WLAN, and online banking. Your comings and goings are known only to you, and potential intruders stay out. 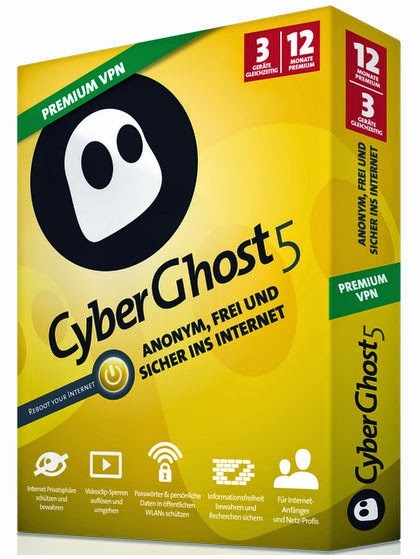 CyberGhostVPN – Anonymous. Simple. Secure. NOTE: If you want to remove the session time limitation and access more servers, you will need to purchase a license. CyberGhost VPN supports all PC Internet connections (WLAN, Internet cafĂŠs, UMTS, DSL, ISDN, modem).